I tweeted this yesterday, and I’ll say it again now: I feel like Thomas Markle has been suspiciously quiet this week, and I strongly suspect that another interview is coming. Maybe on Sunday, maybe at the Mail or The Sun. It’s just a thought, and maybe I’m wrong. In the meantime, Meghan and Harry are hopefully enjoying their time off, and I truly hope they’re on vacation right now, and that Meghan is currently being knocked up. But someone in Meghan’s camp – who? – went to the Daily Mail to discuss how Meghan is totally over her father’s shenanigans. Meghan Markle has made it clear that she refuses to be manipulated by her father’s ‘emotional blackmail’ after saying that she has heartlessly cut him off and she would be better off if he were dead. 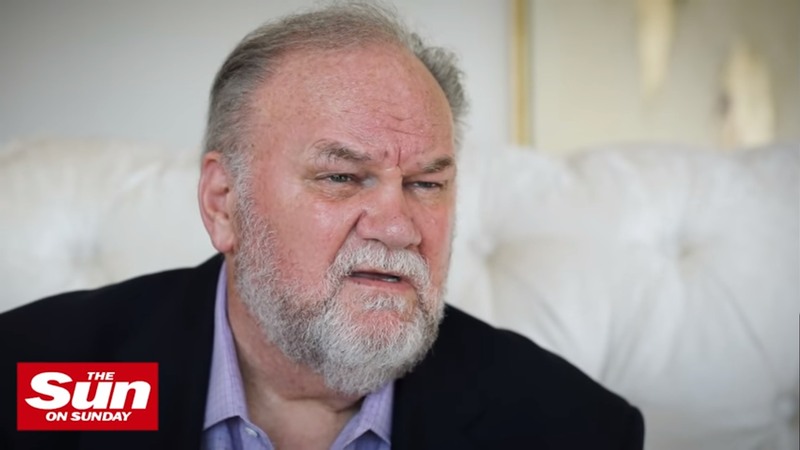 Thomas Markle has said that Meghan might be better off if he were to die: ‘Everyone would be filled with sympathy for her,’ he said. The friend says this is not the first time Meghan has had to deal with her dad’s self-pity. I have no idea if Meghan or the palace organized this strategic leak or what, but I believe what this “friend” says. While Thomas Markle’s emotional abuse of his daughter in broad daylight has shocked the media, the royal family and everyone else, I don’t think it was shocking at all to Meghan. Meghan’s seen her father up close, and she’s had to deal with his bulls–t for 37 years. She wasn’t surprised. She was disappointed, and I would imagine she’s probably quite embarrassed too, that the Markle side of her family is so trashy. But she’s dealt with her father’s crap before, just never at this level. And I do hope she’s taking care of herself and putting herself first, regardless of what those toxic narcissists do or say. Photos courtesy of Backgrid, WENN, The Sun.